Are You a Friend...or a Foe? I want to freeze time. I want to move things with my mind. I want power, like lightning or fire. I want to be able to never be hurt. I want to read minds. I want to change my appearance at will. What's your superhero outfit look like? I'm all about the Clark Kent reporter vibe instead. Whatever shows off my luscious calves and heaving bosoms. Something practical, like boots and a dark hoodie. I don't plan to get caught, so it doesn't really matter. A well-tailored (expensive) suit is the only way to impress. What would be your job in Arcania? It's a #lifegoal to be a journalist or in the media somehow. Event or wedding planner would be fun! I want to fight for the city as its high profile lawyer. I want to protect it, so maybe law enforcement of some kind. "Need a job?" No, I don't "work." Really, I'm still HERE? Ugh, I can't wait to be anywhere else. How do you feel about your city? I can't wait to get outta here. I love my city and want to attend the local university. It grows on you after a while. Especially the people. It's all right, but I won't stay forever. How do you feel about love and relationships? I fall in love every other week! If I found the right person, maybe. What a waste of time. I've got better things to do. I've got way too much going on to worry about that right now. I'm already with/in love with the right person for me. Arcania is falling apart. How do you help? Help? Why would I help? I'm probably causing a lot of the trouble. I'd do anything to protect Arcania. Maybe hold a fundraiser or something? I'd dig up the truth and tell the world everything I can. I'd volunteer at soup kitchens, donate items, etc. You're in downtown Arcania at night, identity hidden behind a mask. What do you do? I sneak around and find info on the 2 big gang leaders so I can write a groundbreaking story. I take down a few criminals trying to hurt Arcania citizens. Oh, I'm definitely up to to no good. Uh, no thank you, I'll take an Uber home. I make sure no one gets attacked outside building or in alleys. You are HENRY! Nova's best friend, Henry is a laid-back but curious person who wants to uncover the truth and live to tell the tale. He sometimes comes across as pushy but is a loyal friend who won't let you down. Read more about the YA superhero trilogy #HoA at HeroesofArcania.com or get it on Amazon now! You are PENELOPE! Pen is a bit of a loner, always waiting for a better opportunity. She is still finding herself and often allows her temper to get the better of her--AND her gift. You are NOVA!! Our main hero, Nova might not get injuries, but her heart can be broken. She wants nothing more than to protect Arcania from more of Fortune's madness, and get her life back to some version of normal following in her District Attorney father's footsteps. You're AMBER! Amber is a fun-loving person who loves to have fun and be a bit of a queen bee. She's a smart, caring friend; perhaps a bit superficial at times, but she's bravest when it counts the most. 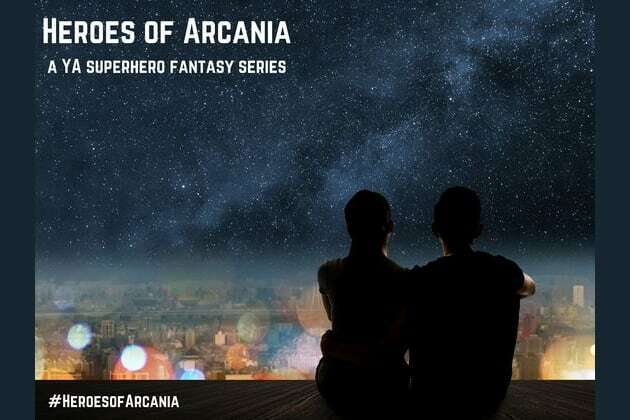 Take our quiz to find out which character you'd be in the YA superhero trilogy HEROES OF ARCANIA. Are you a hero or a villain? Be sure to learn more about these young adult books by Liz Long at HeroesofArcania.com or read them on Amazon! The Heroes are ready for you.